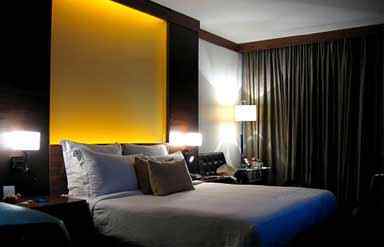 The Le Meridien New Delhi Is quite near to the capital's fashionable shopping, commercial and cultural centre. Just 17 kilometres from the international airport, it is the most preferred destination of the discerning traveler. 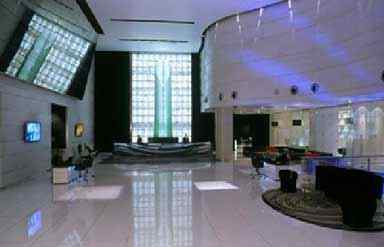 Le Meridien New Delhi is conveniently located in the centre of the city to let the guests tour New Delhi at its best. The hotel offers excellent leisure facilities, high standards of comfort and excellent restaurants. Le Royal Méridien New Delhi is ideally located at on Windsor Place which is 18 kms from Airport and 2 kms from Railway Station. There are 355 luxurious rooms that offers every luxury and comfort. The choices of rooms are the Deluxe rooms, Club President, Suites, Luxury Suites and Presidential Suites. 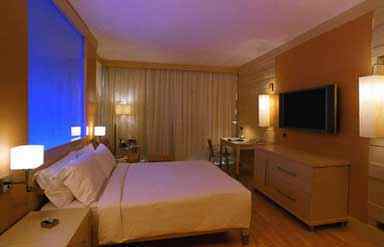 The rooms have the most latest facilities like Air conditioning, Cable television, Hairdryer, Interconnecting rooms, Mini bar, Newspapers, Refrigerator, Smoke detectors, Sprinklers and Telephone. 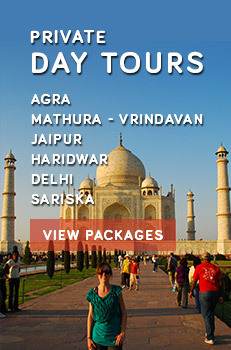 The restaurants offer a range of fine Indian, Chinese, Continental and French cuisine. The Golden Phoenix is one of the city's most popular restaurants serving Szechwan and Cantonese cuisine. Pakwan, the restaurant specialises in North-west Frontier cuisine with live Ghazals. Pierre is deal for connoisseurs of fine French cuisine. La Brasserie is the 24-hour coffee shop with an elaborate buffet for breakfast and dinner. La Brasserie offers a wide variety of Indian, European and Asian cuisines. La Plaza, a tea lounge with a wide range of sandwiches, patties, pastries, tarts and cookies. 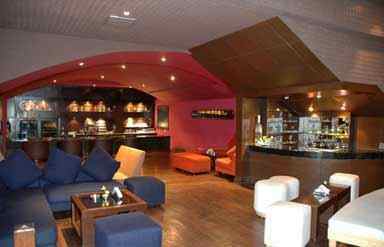 The Henri's Bar and Aloha Bar relax you completely with drinks and good music. May it be well-endowed Conference/banquet Halls, the modern Business Centre, the well-equipped health club or at the numerous sports facilities, you can be sure of a responsive, personalized service. 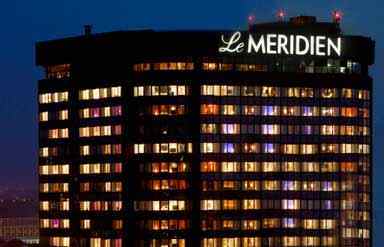 Le Meridien New Delhi offers its guests the capital's finest Health Spa which has a fully equipped gymnasium, outdoor swimming pool, tennis court and massage facilities. The people fond of sports can arrange golf and polo on request. Additional Amenities offered by the hotel are Beauty salon and a Jogging track / trail.